Synopsis: Walter Brennan is back as the clever and funny over the hill Texas Ranger Nash Crawford. This time the gang must face corruption in their own home town. 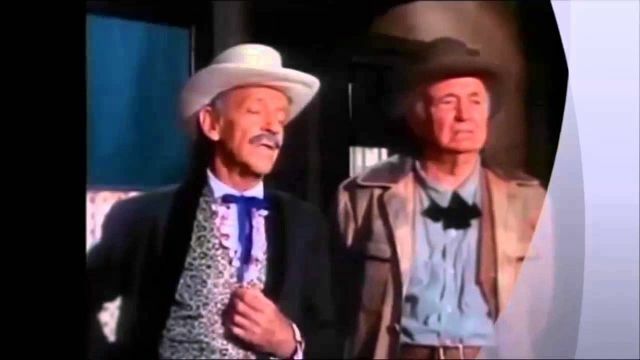 Watching an atrocious print of this 1970 TV movie, I got to wondering which 1980s character actors of equal stature could be cast in the roles occupied by Walter Brennan, Andy Devine, Edgar Buchanan and Chill Wills if one of the Over-the-Hill-Gang movies was to be remade today. Wilford Brimley was the only name I could come up with off the top of my head, although he’s not too active these days. It seems that the well-known character actors — who weren’t once stars in their own right — is something of a relic from the past these days. There are still a few notables around today — Richard Jenkins springs to mind — but I’m not sure they’ll be remembered in the way that Brennan and Co. still are today. Anyway, this was a sequel commissioned following the unexpected success of the first Over-the-Hill TV movie, and the makers drafted in Fred Astaire after Pat O’Brien rode off into the sunset in the first movie. Astaire wears a fake moustache to go with his fake hair and is painfully miscast, but he gives it a go, and it’s interesting to see him acting with all the other old boys. The story is slight and largely uninteresting. The four ex-Texas Rangers ride to Waco, Texas where they hear that their old friend The Baltimore Kid (Astaire) is being held for murder and robbery only to discover that he was lynched before they could get there. But upon retiring to the saloon, they find their old friend drunkenly propping up the bar. It seems that TBK is an early victim of identity theft, and that it was the imposter who was hung for the crimes. Once his innocence is cleared up, the old boys surreptitiously help the ageing Kid in his new role as the town’s sheriff. The humour in The Over-the-Hill-Gang Rides Again is pretty thin, but it does have its moments, for example the stag night of Jason (Buchanan) which comprises of four old men sitting in their rocking chairs on the porch of his modest home. It’s nice to see all these old boys in the twilights of their careers — and their lives: with the exception of Astaire, most of them would pass away before the 1970s were over. You get the impression that they’re relishing their last chance for a moment in the spotlight, and they all look like they’re having a good time. That’s probably more than can be said for the audience. The film is pretty ordinary, and it’s something of a small mercy that it runs only 73 minutes long (complete with repeated fade-to-blacks for the ad breaks).